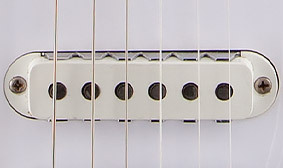 This is the smallest fret size, neither as tall nor as wide as medium jumbo frets. 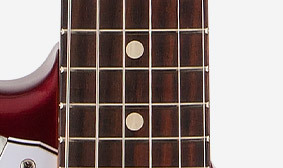 This is how we used to make them back in the 1950s, ’60s and ’70s, and is the comfortable way to go for those who grew up with it or simply just prefer the feel of smaller frets. 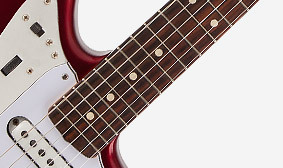 This instrument features specially voiced American Vintage pickups meticulously researched and crafted to reproduce the authentic design, voice and performance of the great Fender guitars of the 1960s. 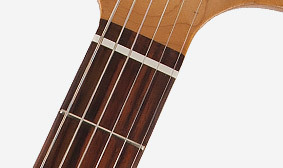 This instrument includes a vintage-authentic nitrocellulose-lacquer finish that lets the body wood breathe with more natural resonance. It's Road Worn finish and hardware treatment imparts a cool aged look and feel, conveying the impression that this instrument has more than just a few miles on it. 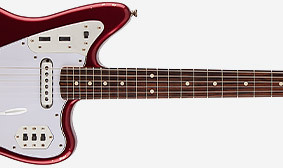 This is the classic shorter scale originally offered during the 1960s on Fender classics such as the Jaguar and Mustang guitars. 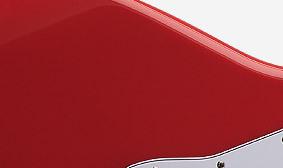 Originally adopted to appeal to those already comfortable with the slightly shorter scales of guitars by other makers, the 24" scale remains a classic Fender design element still offered today.